You can find the pretties flowers growing wild sometimes in the most unusual locations. There are these really pretty purple flowers, which I now know are called larkspur, growing in the back ally of Brian's house. I've had my eye on them for awhile and finally decided it was fine to cut a few branches of to use in an arrangement. I recruited Jacqueline, Brian's sister, to come with me and take some pictures. She is an amazing cook, check out her awesome blog http://www.CookingWithJax.com. 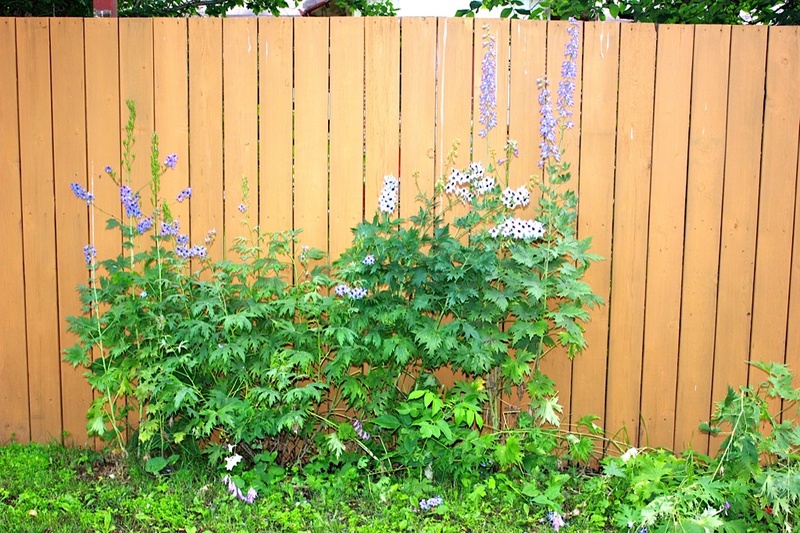 Larkspur growing wildly in the back ally. 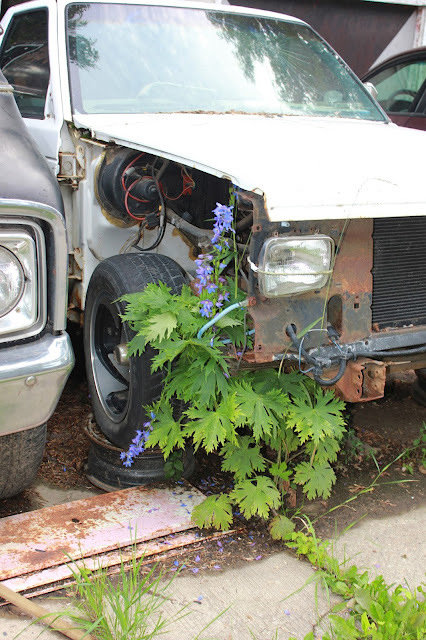 Larkspur growing through an old car, also in the back ally. 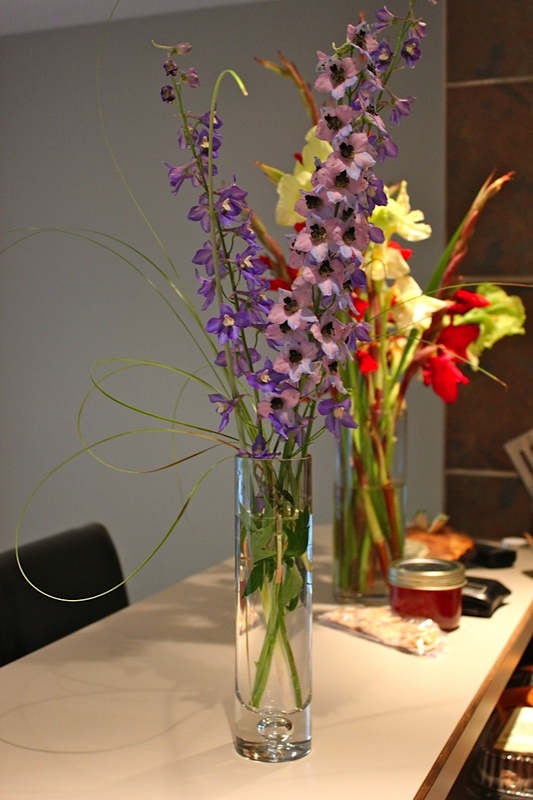 I only cut off three branches of larkspur to use in a simple arrangement. If you look closely you will notice there were too different types, darker purple with white center and lighter purple with black center. I took two of the darker purple and one of the lighter purple, the contrast makes them look great together. They are really pretty, and the best part is they were completely free. 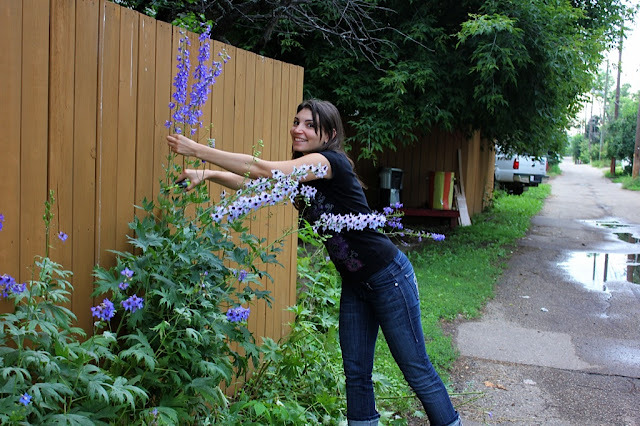 Me cutting three stems of larkspur from the wild plant. I only cut three stems and I put them all together in a tall thin base with some thin grass I had left over from a previous arrangement. I love the pastel purple of the larkspur flowers. It's soft, feminine and fresh look is great for the bathroom. It creates that spa like feeling in a bathroom.